I have recently been approached to tutor workshops for making this great bag. Deby Coles has made me an affiliate for her patterns and I am now booked to tutor at least two workshops in the Autumn Term. The first is to be held in September at Franklins, Salisbury, Wiltshire and the second at New Threads, Weyhill Fairground, Andover, Hampshire. 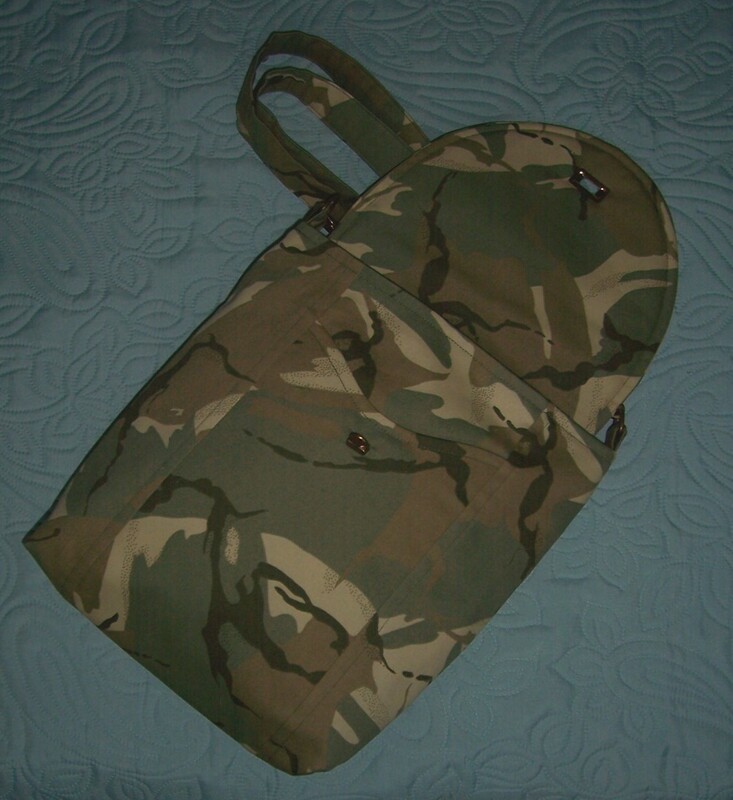 As I have been asked to supply some examples of the bag so that prospective students can see exactly what they are going to make, I have been busy stitching yet another bag – this time using a great camouflage printed stretch cotton fabric that I bought at New Threads. The hardware for the bag is all brass. I have used two D rings in fabric loops, then 2 swivel hook clips at each end of the strap which also has an adjuster slider. To complete the bag there is a twist lock on the flap to ensure all the goodies stay safe inside the bag. 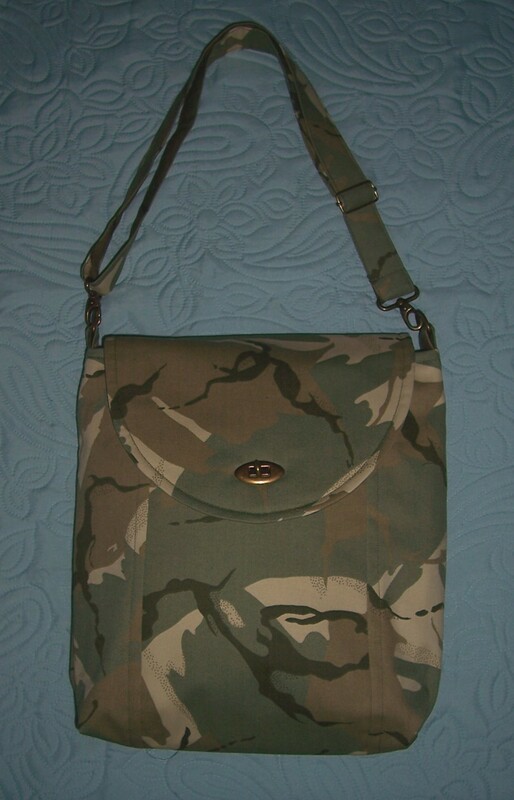 I think that because of the camouflage print this bag could be used by either a male or female. That makes it even more versatile. 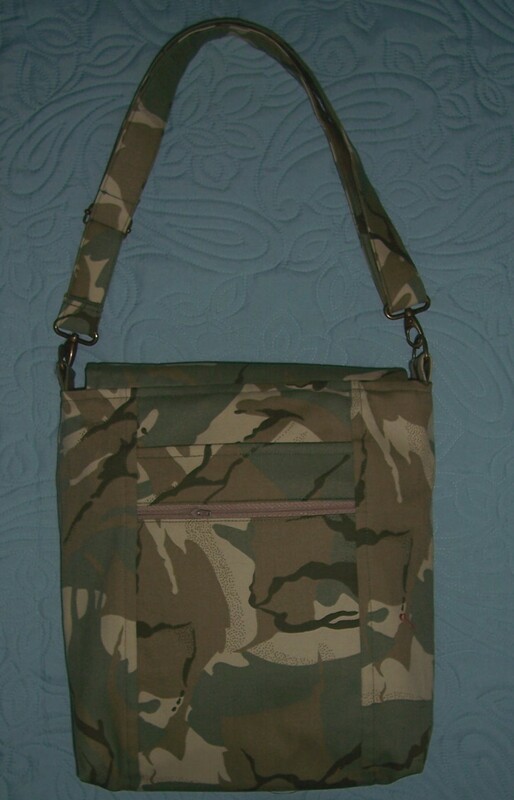 Next step is to make a multi-purpose tech or tablet bag using the same fabric which I believe will be an ideal Christmas gift for the male of the species.